Read about upcoming conference sessions. 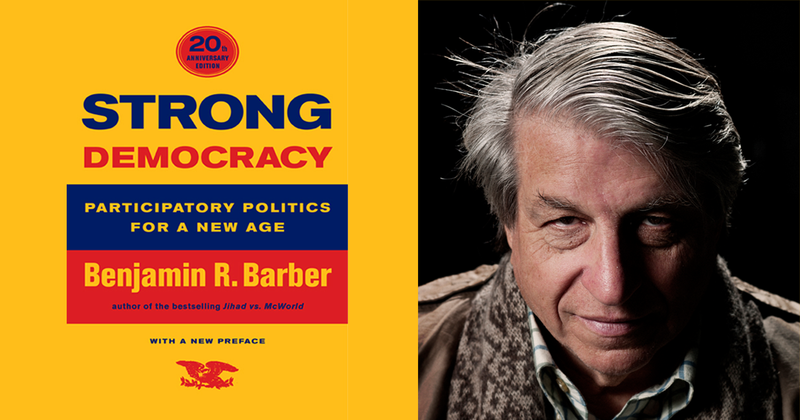 John Dedrick remembers Benjamin Barber. 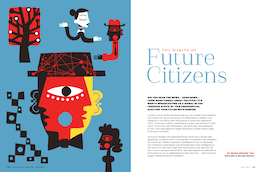 Deliberative Pedagogy: What Does It Mean to Educate for Citizenship in a Democracy? 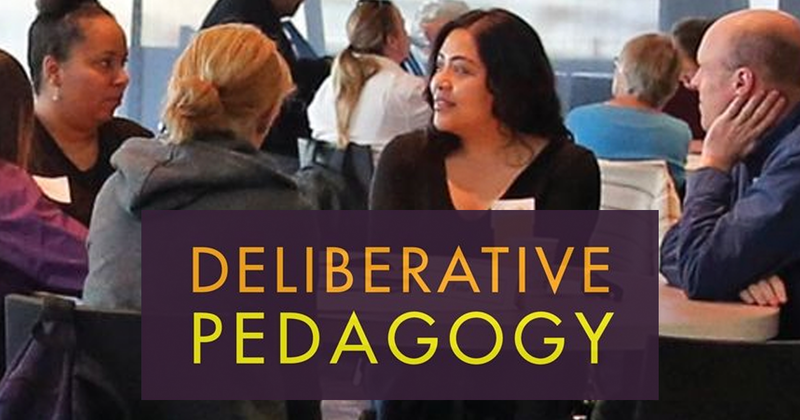 ​What makes deliberative pedagogy deliberative pedagogy? 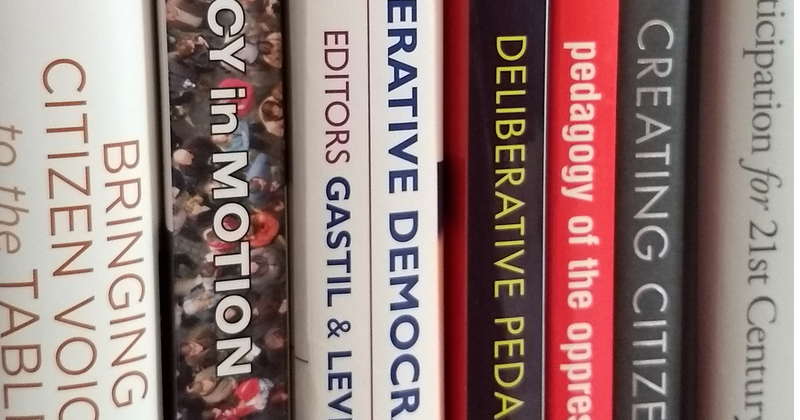 In a recent interview with the local radio station in Manhattan, Kansas, I spoke about the publication of the new book Deliberative Pedagogy: Teaching and Learning for Democratic Engagement and what it is about. Bill Bishop, coauthor of The Big Sort, was at the Kettering Foundation earlier this month to deliver the first Hodgkinson Lecture. This profile is part of a series of conversations with college presidents in various higher education institutions. Earlier conversations in this series were with Adam Weinberg, president of Denison University in Ohio; Katherine Persson, president of Lone Star College-Kingwood in Texas; Katrina Rogers, president of Fielding Graduate University, based in Santa Barbara; and Paul Pribbenow, president of Augsburg College in Minneapolis. A Public Voice 2017, the Kettering Foundation’s annual exploration of public thinking on key issues, will be held in Washington DC at the Cannon House Office Building on Capitol Hill on Tuesday, May 9. This year’s event focuses on an issue important to all Americans: safety and justice. In recent years, Kettering has brought together a series of research exchanges with college presidents on the civic purposes of higher education. In these exchanges, we discovered that presidents are deeply concerned with the state of our democracy and anxious to expand their leadership roles beyond fundraising and bureaucratic administration. According to a recent follow-up study, students who use deliberation to enhance civic engagement efforts in college are still feeling the effects 10 years after the fact. Jay Theis had a newly minted doctorate in political science when he became concerned about the fate of a Methodist church that was closing across the street from his Kansas City home.